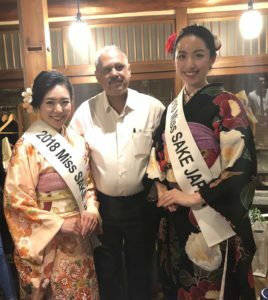 1 Miss SAKE contest and Sae Haruta, 2019 Miss SAKE Japan, appeared in the article of SPIRITZ, India’s largest beverage industry general magazine. 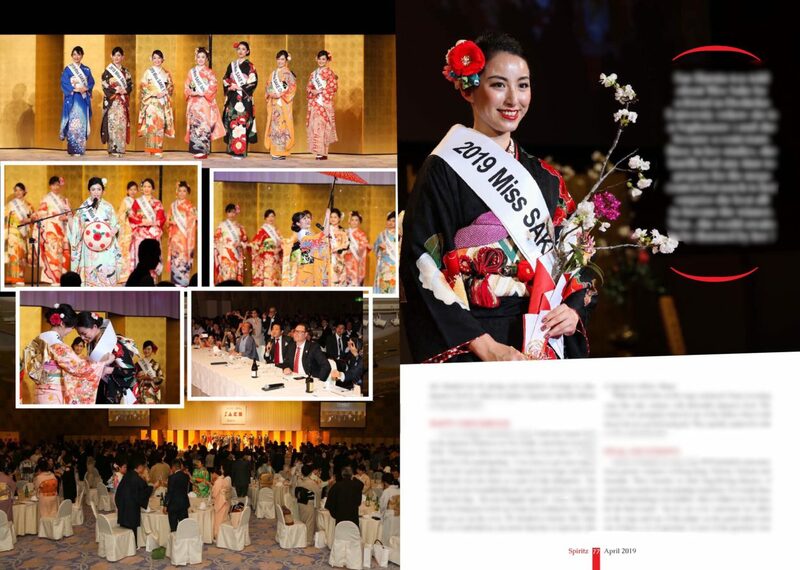 Miss SAKE contest and Sae Haruta, 2019 Miss SAKE Japan, appeared in the article of SPIRITZ, India’s largest beverage industry general magazine. Good evening, everyone. This is Sae Haruta, 2019 Miss SAKE Japan. 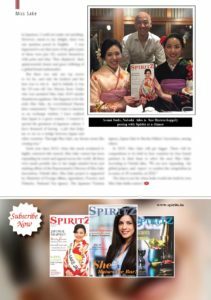 It is my great pleasure to inform you that Miss SAKE and I appeared in the article of SPIRITZ, India’s largest beverage industry general magazine. SPIRITS is the largest beverage industry general magazine in India where its population is over 1.3billion people. It has been supported by many people from various industries because it covers many areas: alcohol and hotels, bars, pubs and resorts, machinery and technology and so on, and has substantial contents. This magazine is also characteristic of inventive ideas and clear writing. In the magazine, there were articles as many as two and a half pages about principles behind Miss SAKE activities, Mr. Bishan Kumar’s encounter with Miss SAKE, over view of the final selection of 2019 Miss SAKE Japan and my feeling for Miss SAKE. Last month, I joined the special Kyoto tour which is hosted by Miss SAKE corporation with four Miss SAKEs from overseas and their brand partners. Mr. Bishan Kumar, who is the chief editor of SPIRITZ magazine, also participated in the tour as a candidate of organizer for Miss SAKE India and He enjoyed his stay in Japan and Japanese culture through visiting sake breweries and townscape in Kyoto and Japanese food. He told me that Japanese food and sake has been becoming so popular in recent years in India. 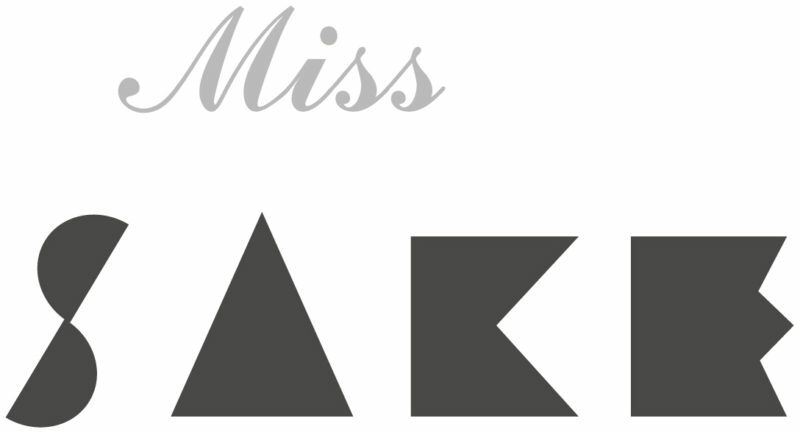 It was such a perfect timing to be published by SPIRITZ about Miss SAKE. I felt the greatest pleasure about this and it is a great honor for us to be a part of SPIRITZ magazine. 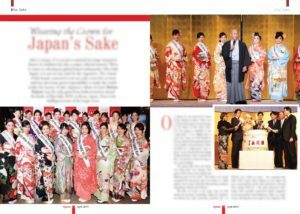 I hope the article will be an opprtunity for many Indian people to know about sake and Miss SAKE contest. 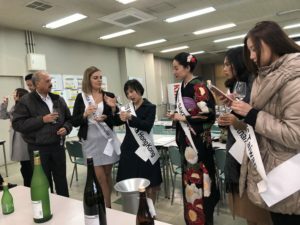 While I thank all the people who involved in publishing this article, I will try my best to spread the charm of sake and Japanese culture to the world. I extend my appreciation to Mr. Bishan Kumar, Chief Editor of Spiritz magazine, for this marvelous opportunity.